Looking for a fun way to spend your summer in the great outdoors? 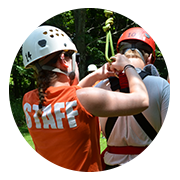 Come work with us at Hidden Falls Camp! 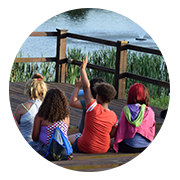 Join our team of energetic young men and women helping The Salvation Army do the most good by providing once-in-a-lifetime, traditional sleep-away camp experiences for hundreds of disadvantaged children from across Indiana. Whether you want to work hands-on with the kids as a counselor or lifeguard, or prefer behind the scenes work as kitchen or grounds staff, we’re excited to show you just how much fun it can be to work and live at a summer camp. Fill out an online application now by clicking on the nearby link. If you have questions about employment, enter your name and email address along with a short message below and we will contact you as soon as possible. We start accepting applications for the 2019 Summer Staff on January 1st. Please fill out the interest form via the link above. We will contact you via email within a week regarding scheduling a phone interview. At this point we have received an abundance of applications for Junior Staff. We are in great need of applicants who will be 18 or older as of June 2nd. For more information, download the Summer Staff Opportunities 2019 Newsletter. 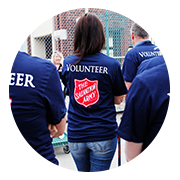 If you have any questions about employment with The Salvation Army, please fill out the form below.